The Rise and Fall of Management examines the history and corruption of management and identifies means of its possible renewal. Insight into today’s economic and financial problems comes from an understanding of how and why the practice and teaching of management has developed as it has ,significantly influenced by the development of economic theory. From the early days of management as an autonomous discipline, the text examines how and why managers have struggled to achieve a tolerable balance of dissatisfaction among the various stakeholders with whom they interact. Gordon Pearson, who has spent equal parts of his long career as a practising manager and a management educator, clarifies through rigorous historical review the difficult issues around management with which we struggle today, such as why management custom and practice so often lead to contravention of the law. This is a broad, practically informed, critical view of the subject that will be welcomed by any reader with a professional or academic interest in practice, theory, and context. 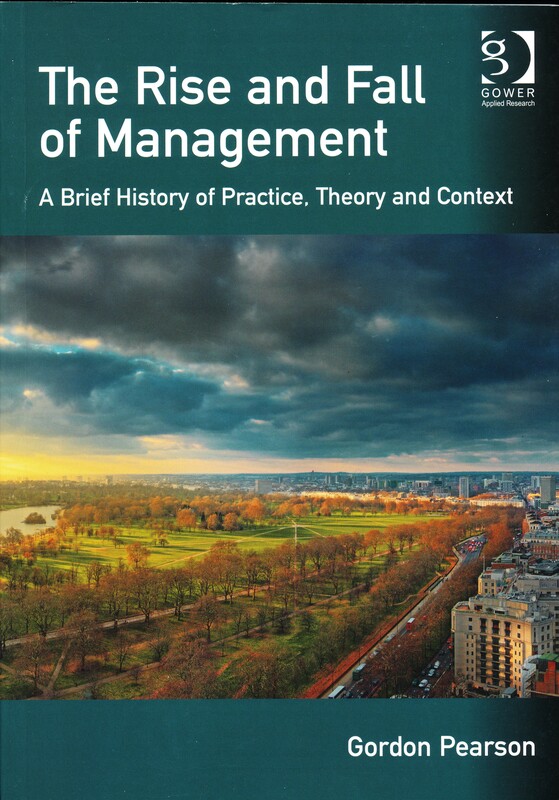 John Hassard, Professor of Organizational Analysis, Manchester Business School ‘This is an extremely insightful and challenging contribution to our understanding of management theory and practice. It offers a powerful and significant critique of the evolution of organizational life – one that is particularly suited to the times. Mihaela Kelemen, Professor of Management Studies, Keele University: a lively and provocative book that will make the reader question and rethink the ethos and morality of free market capitalism. E-Manager Book Review by Mike Turner, FInstAM: This book offers something that so many management texts fail to deliver – readability. With a succinct and easy to follow style, the author has produced a work, which is genuinely interesting to read. If you want to discover how management has developed over time, against a background of well-explained economic theory, this text is a must. Similarly, if you struggle to remember the key concepts upon which economic theory is built, and their relevance to business practice, this is a book well worth reading. Management is discussed as an evolving process in the context of social and political developments. The result is an excellent mix of history and management practice. Throughout the book, the author keeps in focus the practicalities of implementation. Stressing ‘implementation’ as the key to successful management keeps the book firmly based on day-to-day needs. I particularly liked the epilogue introduced as “a broad account of past progress and mistakes”. But building on this, the author introduces realistic suggestions for future approaches that managers could adopt.